We are down to the last few days before the closing of the Silver Lake Eastside Easement, and we are so close to reaching our goal of raising $350,000 by September 20. If you have already made a donation, we thank you. 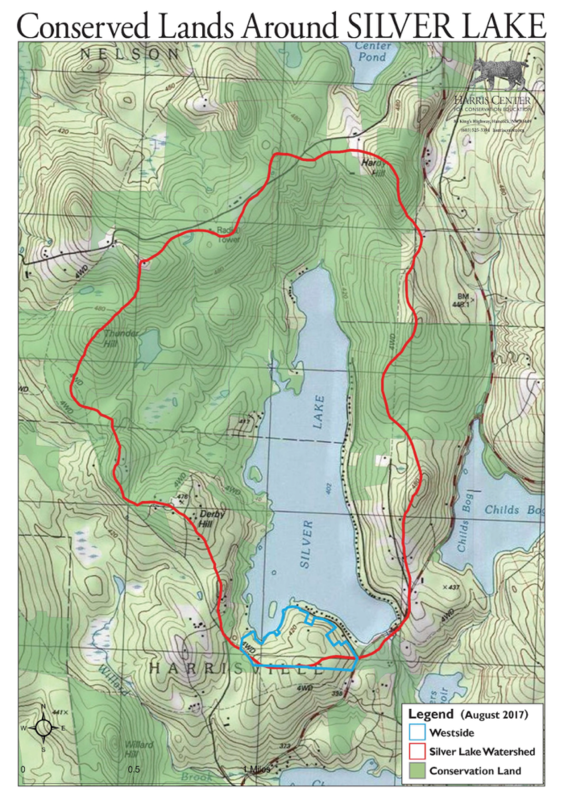 If you have not donated, please consider making a donation as soon as possible for this great cause, which will permanently protect 187 acres from development in the Silver Lake and Childs Bog watersheds. Please make out a check to The Harris Center for Conservation Education and mail to the Harris Center, 83 Kings Highway, Hancock, NH 03444. On the memo line or in an accompanying note please reference the Silver Lake Eastside Easement.